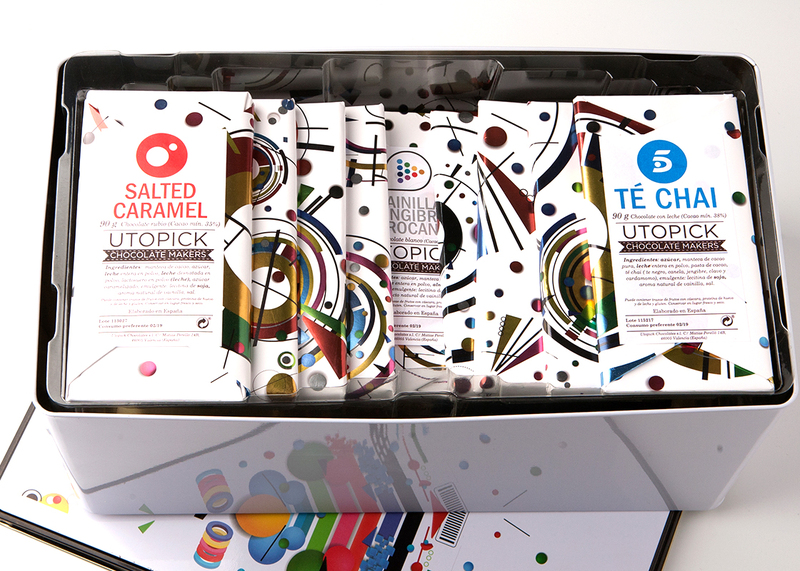 At Utopick we put our hands and soul into each bean. We approach the farmer at the crops and we work on the beans with respectful processes and without additives. 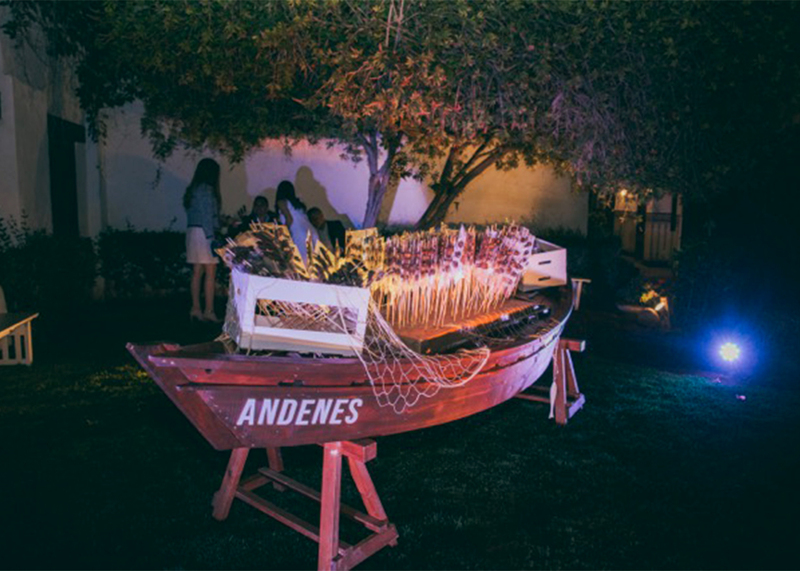 Each harvest has its own aromatic and gustatory characteristics, so in the process of production we keep the aromas and fineness of the beans so that they remain true to their origin that we carefully selected. 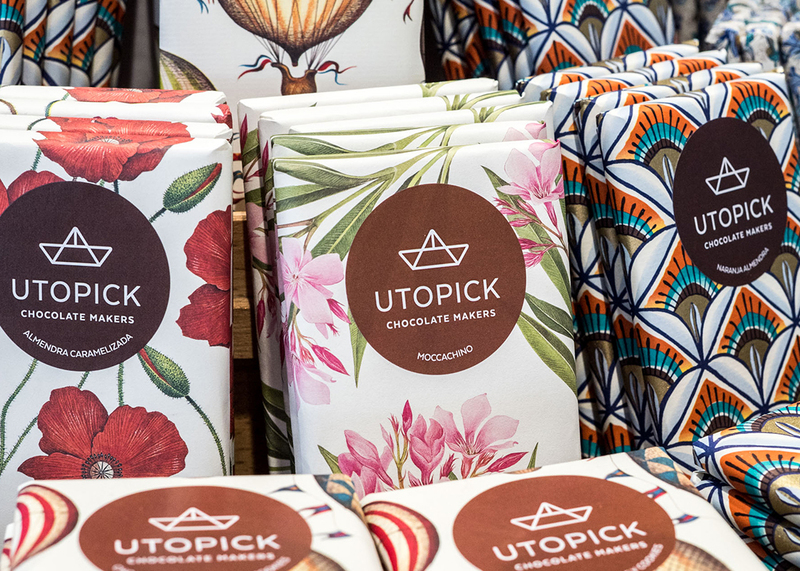 There is a universe of nuances to discover in each variety of cocoa: caramel, fruity, citrus… Magic comes with the selection of the beans and so does the identity of the chocolate. 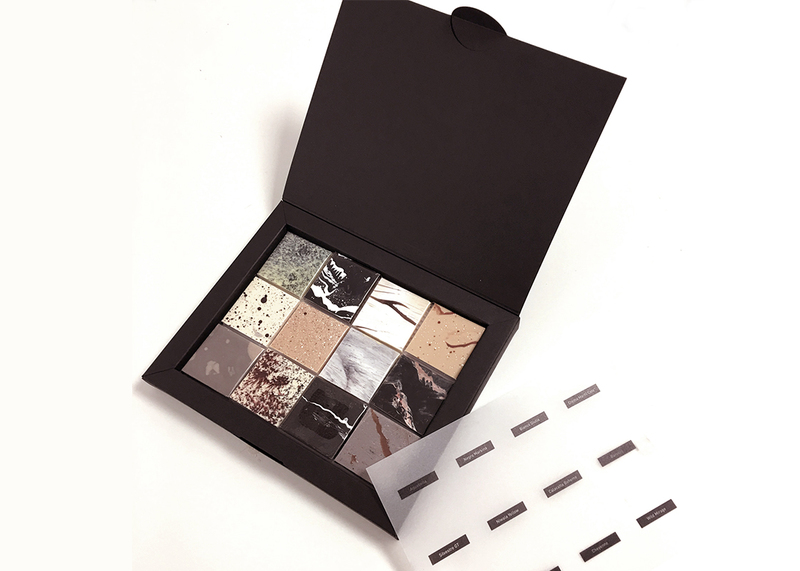 With the bean to bar process we enhance this gift of nature that we are devoted to. 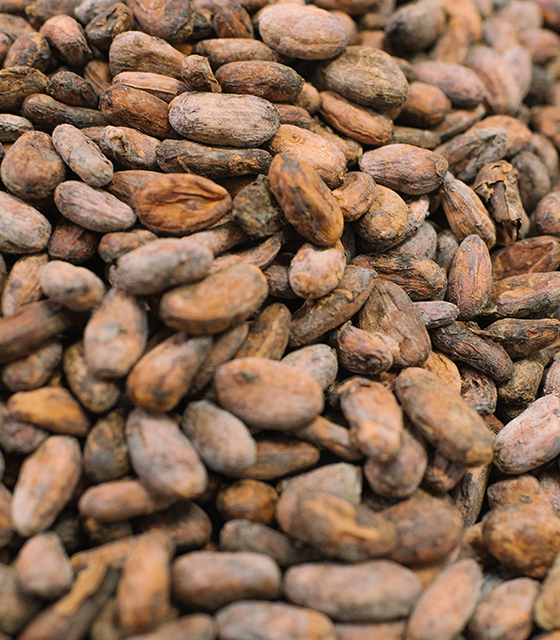 We select the region of cocoa harvest. Not all genetic varieties make for good chocolate. 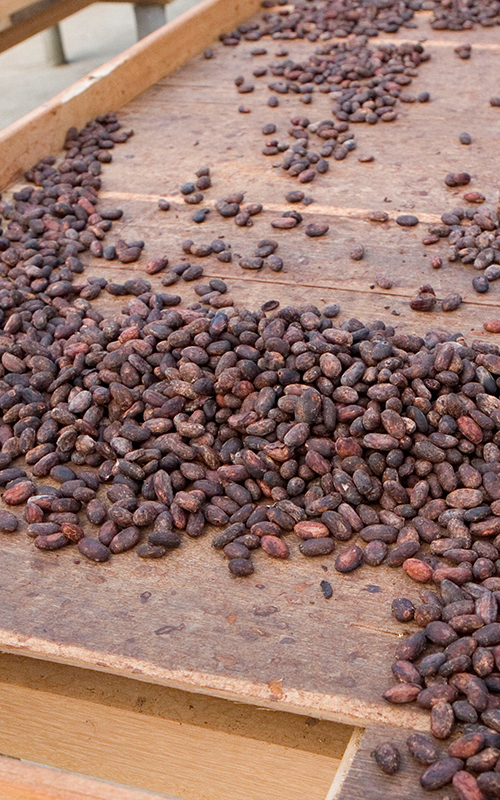 chocolates: the variety of cocoa and its origin are key. peculiarities and they depend on climate factors. turned over daily so that they free their aromas. get the result we were looking for. we then make the chocolate. watch the proportion of cocoa to the rest of ingredients. the strength of cocoa if we want to. and is crunchy and shiny when it gets to you. properly and they are ready to travel around the world. 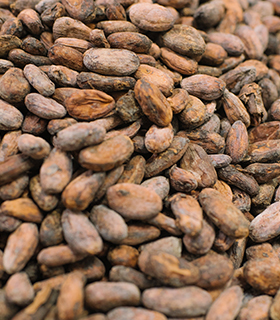 We select the region of cocoa harvest. Not all genetic varieties make for good chocolate. 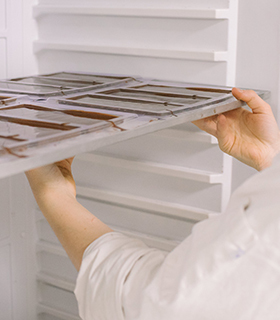 We look for the nuances that are best for our chocolates: the variety of cocoa and its origin are key. As it happens with wine, each crop has its peculiarities and they depend on climate factors. Harvesting fruit at the appropriate moment of maturity alone is a challenge. Experience, then, and the know-how of farmers help us collect the pods at the optimum time of maturity. Then, the beans are extracted and fermented. They are kept in crates for at least a week where they are carefully turned over daily so that they free their aromas. Selection of farmers: we look for the best and better qualified since our aim is to create perfect products. We purchase based on Transparent Trade: that means we have a relationship between equals with the farmer and that the costs and payment are transparent. We experiment with the beans until we get the result we were looking for. 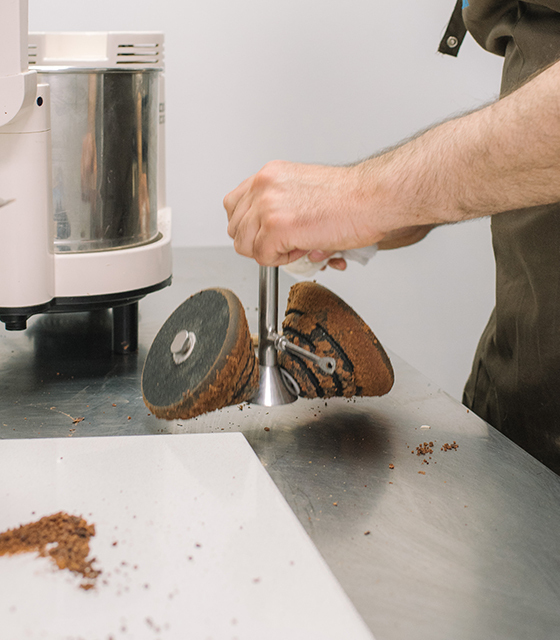 We go through roasting, cracking and winnowing processes. 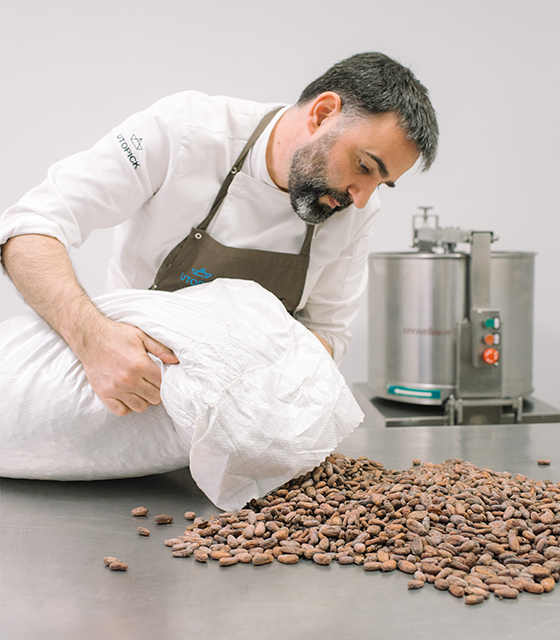 First we roast the beans at controlled time and temperature (100º-130ºC) to free the aromas. 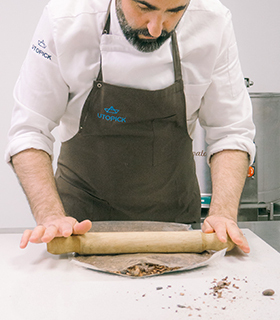 Then, we crack the beans and winnow them, this means the hull is separated from the nib with which we then make the chocolate. 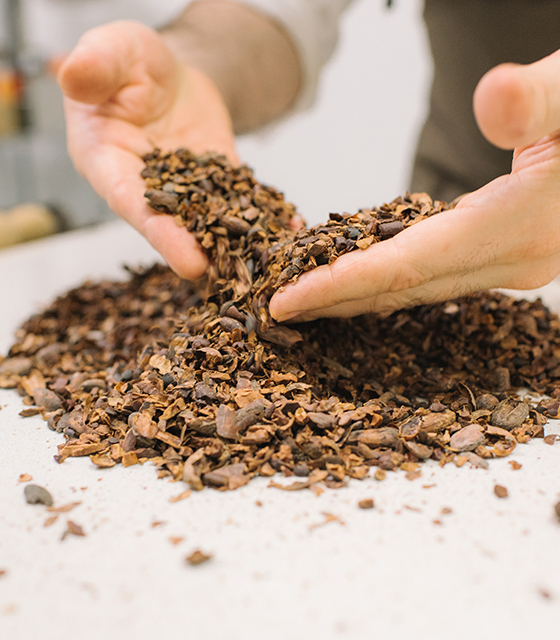 We mill the nib to get the juice of the cocoa nib (liquor) in a melanger machine where the chocolate is cooked at controlled temperature, pressure and time. We, then, add other ingredients such as sugar, cocoa butter, and so on. At this point we need to watch the proportion of cocoa to the rest of ingredients. 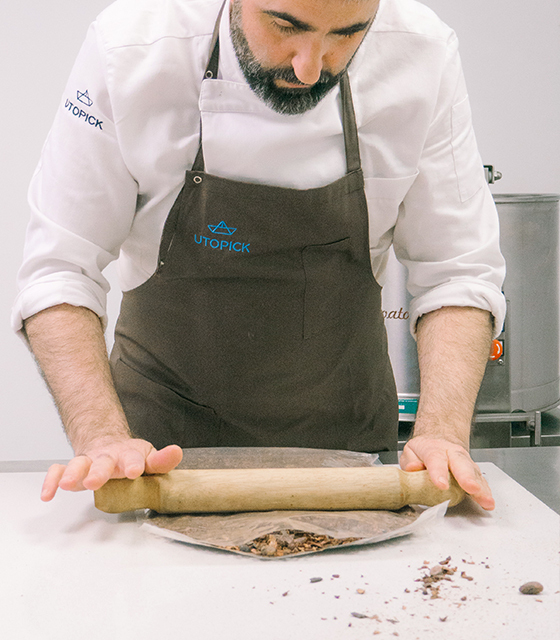 To get our favourite textures, we go through the conching process and apply heat to dilute or soften the strength of cocoa if we want to. 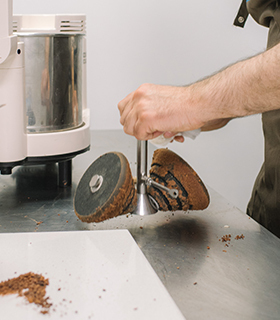 One of the most important steps is tempering and molding because on it depends that the chocolate remains blended when cooled down and is crunchy and shiny when it gets to you. 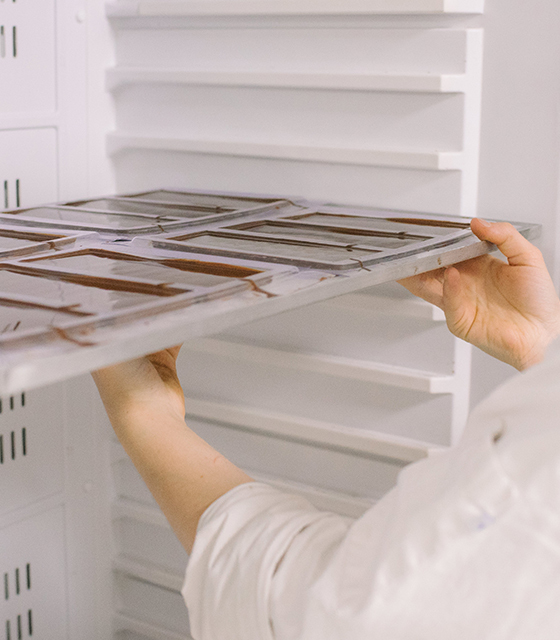 To finish the so careful process, we dress up the bars with a handcrafted packaging, we name them properly and they are ready to travel around the world.